After doing his best to shake up the countryâ€™s school teachers as Education Secretary, Michael Gove made a pretty convincing stab at his new job of Lord Chancellor and Justice Secretary, telling last yearâ€™s Party Conference that the prison system fails to rehabilitate and reform, instead inflicting â€œpointless enforced idlenessâ€, and that the failure of imprisonment was â€œthe biggest failure of allâ€ in the criminal justice system. Sadly, his defeat in the party leadership election put paid to his continuing in the post and he now languishes on the back benches. Or does he? 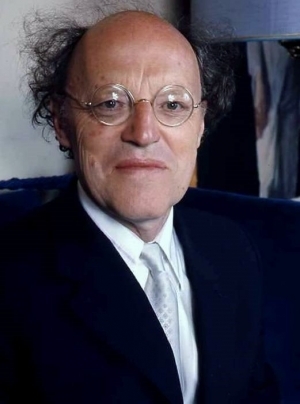 The invitation to give an address recognising the unique achievements of Lord Longford was extended while he was still Justice Secretary and he described his determination to honour it after leaving office â€œbecause of my admiration for his workâ€. Francis Pakenham, 7th Earl Longford, spent twenty-two years on the Labour front bench before devoting himself to penal reform. A prison visitor for half a century, he was ahead of his time in questioning prison policy, prophesying the demise of a punishment-oriented system. In 1955 he founded the New Bridge, the first organisation dedicated to ex-prisonersâ€™ welfare. In 1963 he chaired the committee which recommended setting up the parole system. He died in 2001. The annual Longford Lecture is organised by the Longford Trust. â€œFrank Longfordâ€™s deep humanity, essential decency and Christian charity are virtues much needed at this time,â€ Michael Gove declared. After praising lawyers, prison officers, educators, employers, probation officers, prison health workers and civil servants, Gove turned to the systemâ€™s failings: firstly, the miscarriages of justice that have seen â€œinnocent people jailed for long and hopeless years, from the cases of the Guildford Four and Birmingham Six to the wrongful convictions of Stephen Downing, Stefan Kiszko, Sally Clark, Angela Cannings and Barri White.â€ Barri White served six years for the 2000 murder of his girlfriend Rachel Manning in Milton Keynes, the subject of a BBC Rough Justice investigation (Murder Without a Trace, 2005, produced by Louise Shorter, founder of Inside Justice). Whiteâ€™s conviction was subsequently quashed by the Court of Appeal and another man, Shahidul Ahmed, convicted after his DNA was matched to the murder weapon by the work of forensic scientist Tracy Alexander, Inside Justice Advisory Panel member. Sadly, Gove didnâ€™t have much to say on what should be done about miscarriages of justice, making no mention of the Criminal Cases Review Commission, its resources, its budget or its backlog. His best advice seemed to be: get yourself a good lawyer; and he went on to lament the erosion of the criminal bar - the â€œstrangulation of the supply of talentâ€ - and the consequent draining of â€œthe principal pool from which our judiciary has been drawnâ€. He called for a review of how barristers are trained, the rights of access to representation and the allocation of Legal Aid. He also highlighted the importance of the jury as a â€œcritical guarantor of libertyâ€, referring to his own opposition to the restriction of trial by jury in cases such as complex fraud trials. He then discussed â€œthe jailing of the innocentâ€, referring to the holding of those on remand in general prisons, and emphasising the need for effective rehabilitation. He said there were far too many prisoners serving sentences of Imprisonment for Public Protection (IPP) â€œwho have served far longer than the gravity of their offence requires and who should be released,â€ and he urged the current Justice Secretary Liz Truss to use the power of executive clemency to release them, and the Parole Board chairman Nick Hardwick to be given flexibility and resources expedite the process. One problem with linking education and rehabilitation to parole is that it ignores the plight of those who continue to maintain their innocence in prison. How can someone acknowledge their crime and learn from it when they are innocent of that crime? How can they fight to prove their innocence from behind bars without Legal Aid? How can their conviction be overturned without access to the evidence that helped to convict them but that may yield different results with impartial analysis and technological advances? Michael Goveâ€™s help in the cause of IPP prisoners is most welcome. Maybe next he could turn his interest towards helping those who should never have been imprisoned in the first place.